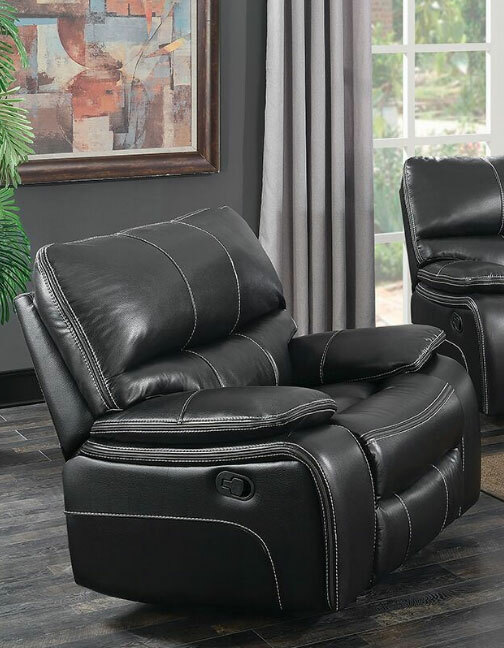 Willemse motion collection offer cushioned lumbar support. 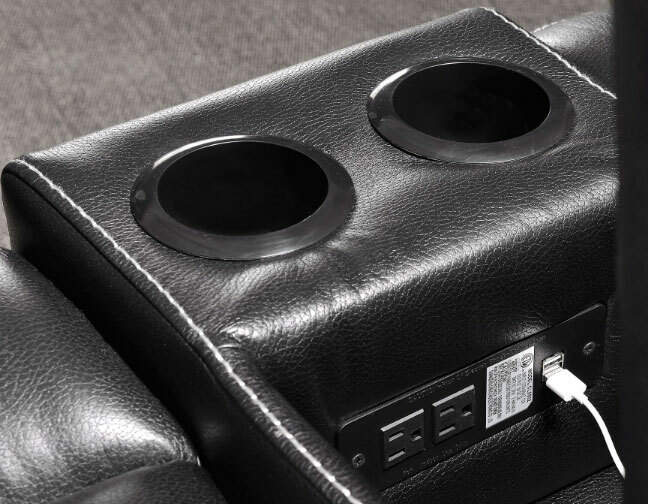 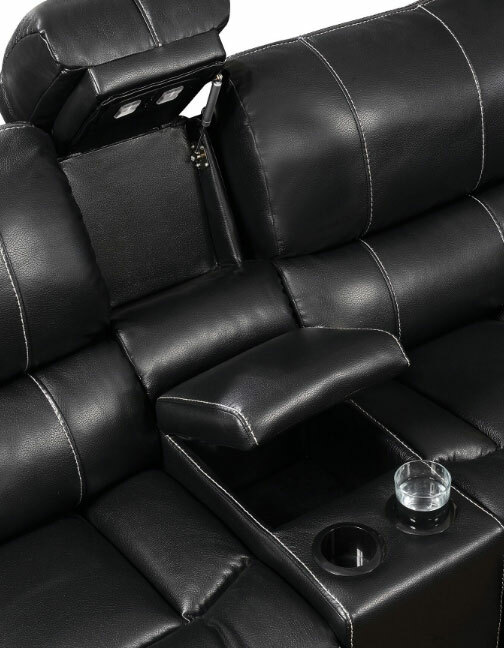 Cup holder and storage compartment in love seat with light and plugins to charge all your favorite devices. 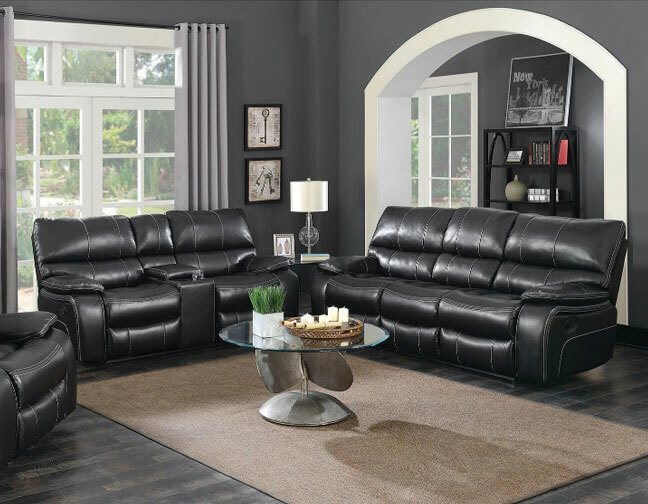 Accent stitching and extra thick welting in a complementary grey color. 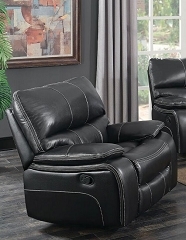 Comfortable seating on the sofa with drop drop down tray table with cup holder. 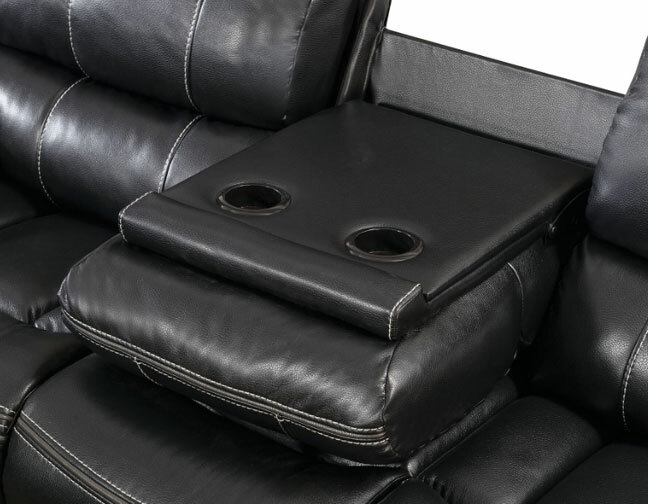 Pocket coiled spring base construction for comfort and durability.